One of the main reasons why we opted to go to Nepal before going anywhere else on our long, travel wish list was due to the recent article in the New York Times regarding the building of the road. 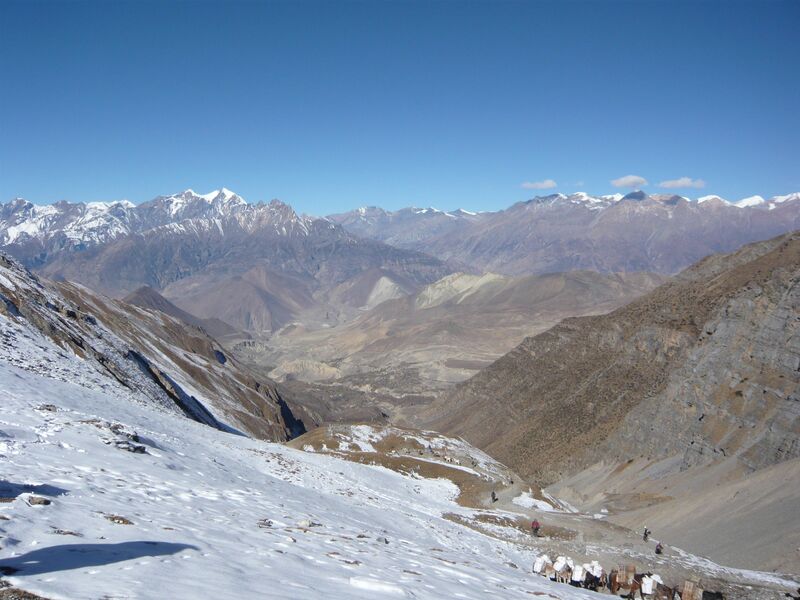 Almost like a sign of fate, my dad happened to see an article in the New York Times on March 10, 2010 called “Hiking the Annapurna Trek Before the Road Takes Over“. Basically what the article said was that this world-renowned hike was going to be ruined within a matter of years by the building of a dirty, dusty road that would tear through idyllic villages and pristine nature and open this once hidden, mystical land to jeep, car, and bus traffic. 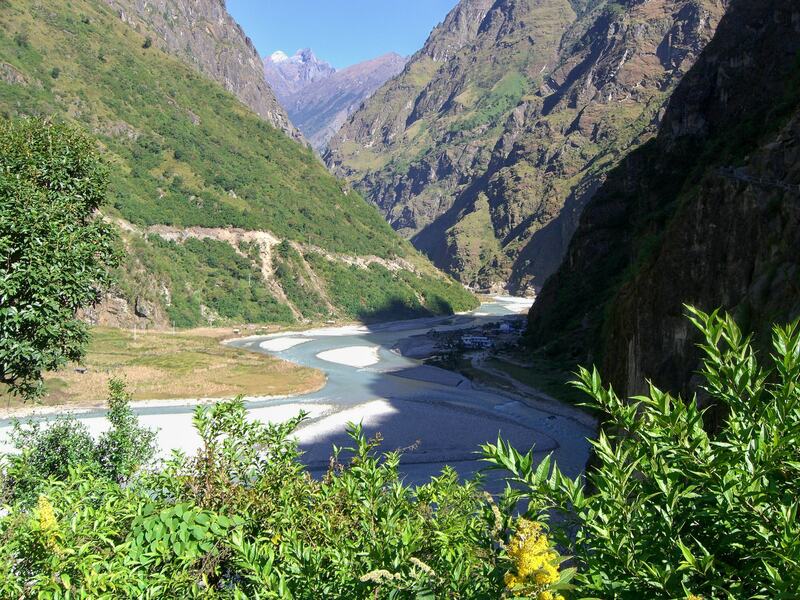 The road will start in Bhulbule and end in Manang (which currently takes 6 days hiking to reach). 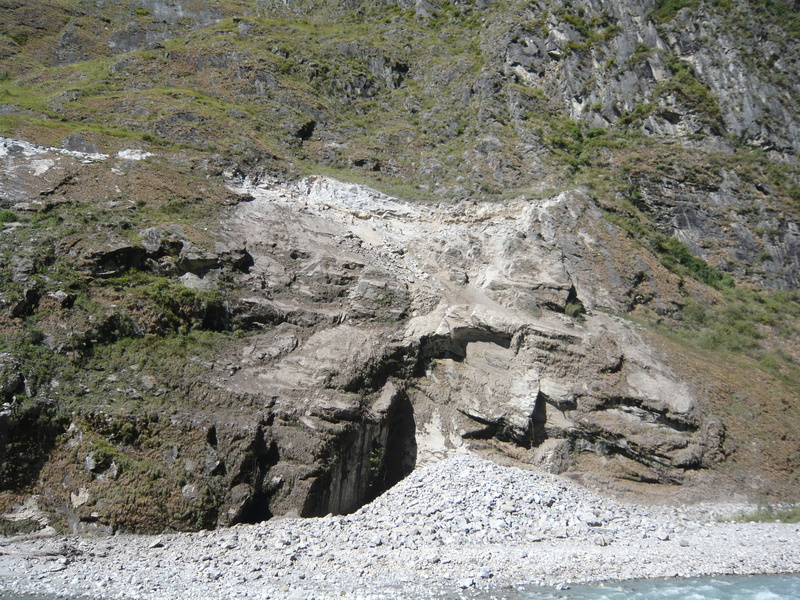 After hiking the Annapurna trail, I can see exactly what the author means by the dangers of building a road, not only to tourism but to the people who build it. 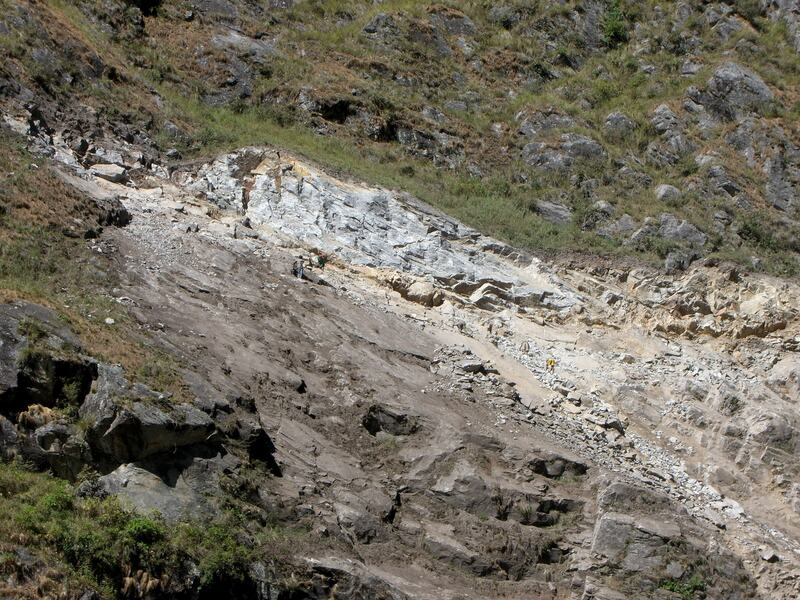 Unfortunately building a road in Nepal is quite a feat given it’s mountainous terrain and lack of infrastructure. There are incredible dangers involved in building a road. Although the job pays well the worker’s conditions are deplorable. There are absolutely no rights for the workers (they are out there without hard hats, without any protection from sun or falling rocks and wearing flip-flops!). Per our guide Hari, 15 workers have already fallen to their death yet they keep coming back to work since it is one of the only good-paying jobs available. Furthermore, the road construction is a very manual, labor-intensive process without the modern technology we use in western cultures. 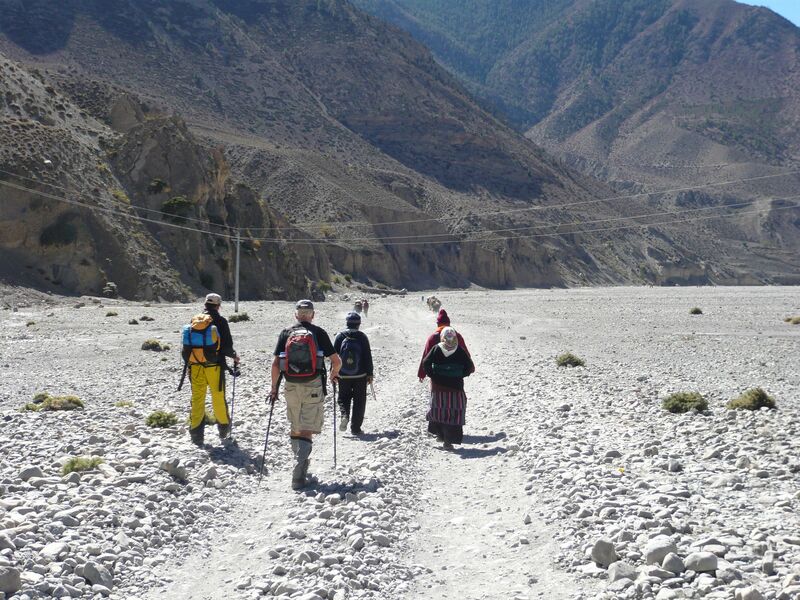 There is a lot of concern that the road will destroy the village life as well as the Annapurna trek, taking away its beauty and more importantly, the rural villager’s dependable tourists which the community relies on. Who would want to trek along a dirty, dusty road smelling of jeep and car exhaust? It is a tragedy. The good news is that the road is nowhere near completion. Locals estimate it will be at least another 10-15 years until it is completed and I’m not sure many tourists will want to risk their lives to take it. 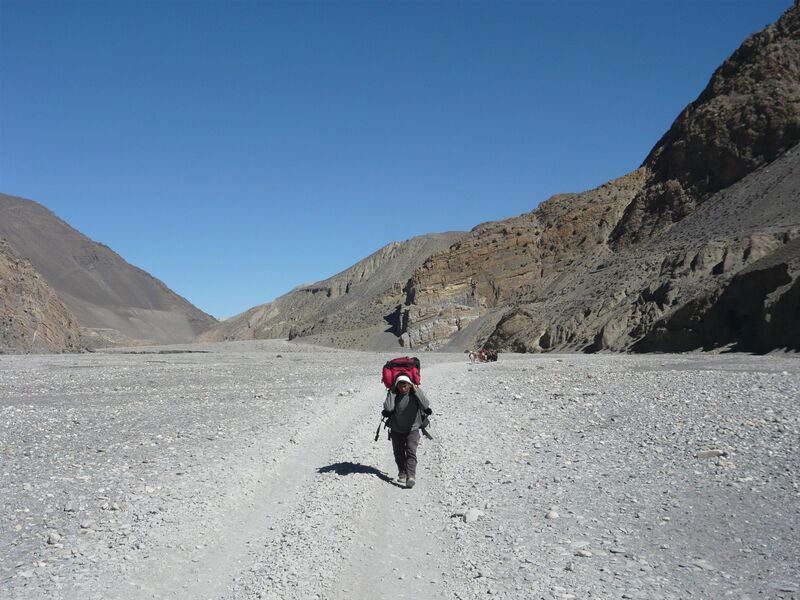 Roads in Nepal do not have the same safety as western ones….no guardrails, terrible conditions (pot-holes, landslides, etc) and probably not paved. Nepal desperately needs infrastructure but good infrastructure. Closer view of the workers. One of many gorgeous valleys that will be destroyed by the road. The above section of this post was written a year and a half ago and was one of the first posts on my blog. Since I’ve been to Nepal, I look back at how this trip was a defining moment in the road of my life and how it changed my life forever. I have began a road that is new and exciting where I’ve never traveled before. I road to advocacy and global volunteerism, a road that I will never ever be able to turn back. My work as a blogger began after this fateful trip leading to a desire to fundraise for the people of Nepal and leave a gift in return. Through various fundraising efforts and a lot of hard work, I was able to raise $10,000 for rural Nepal leaving two brand-new reading centers for a country in which over half of its people are illiterate and most are extremely poor. One thing lead to another and I was invited to become part of a greater team advocating and fighting for the voiceless millions of people around the world living without basic health care needs, education and human rights. In January, I became one of the first groups of Shot@Life Champions for the UN Foundation (an initiative aimed at providing life-saving vaccines in developing countries). My work with Shot@Life lead me to my newest venture, a grassroots advocate and activist for RESULTS, a group of people fighting to end poverty and hunger around the world. It is a daunting road to follow. Yet one I’ll never ever be able to ignore and turn back. I’ve found my passion and my life’s dedication. To be a voice for the voiceless and to give people the right to the basic things in life that so many westerners take for granted. It is the path not taken by many. But will be the path taken by me. I can hardly wait…. 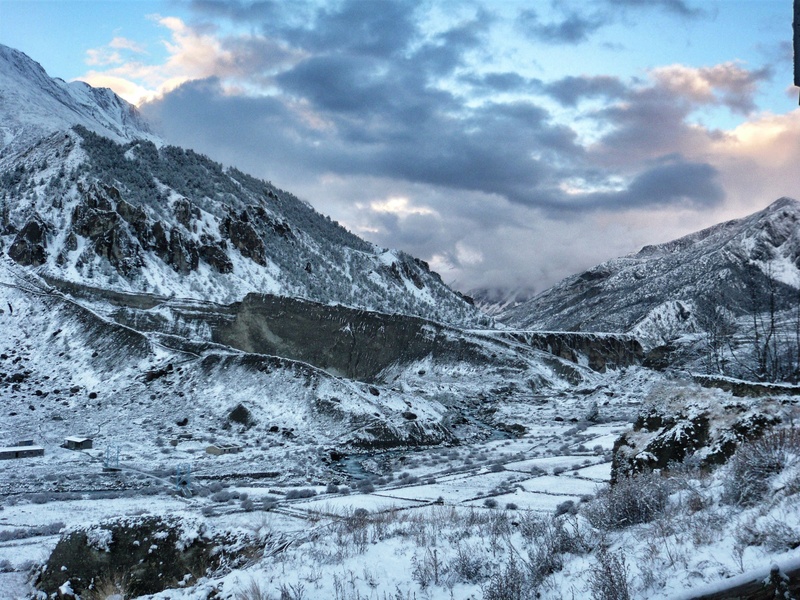 Sunset over Manang after a fresh snow. 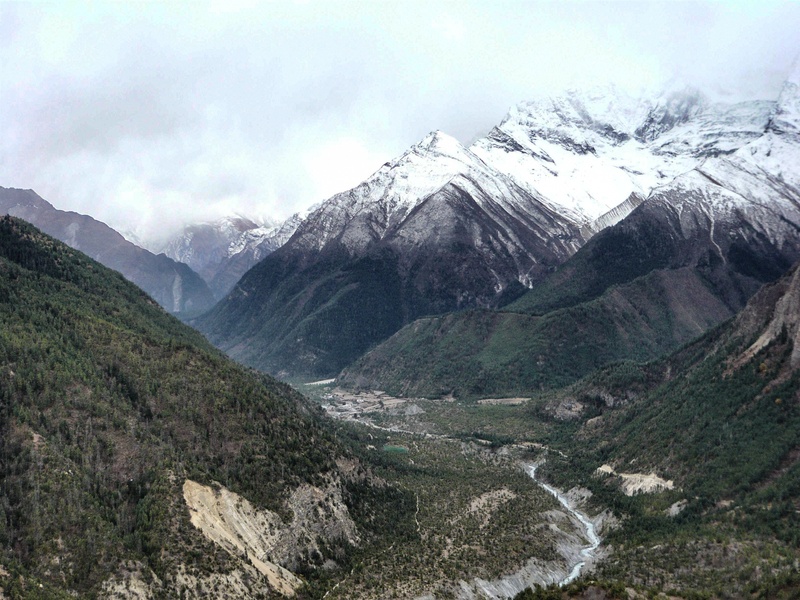 Will this beautiful Himalayan paradise be ruined by the new road? Or will the new road bring in a new life to its people? Will the people be better off? The long road back to civilization….after hiking for over 10 days we reached the peak and headed back towards Pokhara. The only road in sight. Walking with a traveling monk. The far end of the road in the middle of nowhere. To see more posts on this week’s challenge, click here. Looks like some amazing roads you’ve traveled–both literal and much more metaphoric. Hope your weekend has gone well. Fabulous photos, and what a wonderful road you are on. It is really inspiring to read your post. What a journey you are on..indeed one thing leads to another and I wish you much success with your goals for a better future for all of us! Thank you! It is really crazy for me to look back at that trip now and see how much my life has changed. I feel like a new woman! I guess that is what happens after having a baby, surviving those tough years at home as a stay at home mom and then coming out of the fog and finding yourself. I LOVE this post – Perfect for the theme! Great road you’ve been on. Great road you’re on. I hope the road ahead is even brighter for you. And the photos are stunning! Thanks so much for the wonderful comment that made me smile! I sure hope the road is bright but isn’t life all about what you make it? Thanks for stopping by!